UK packaging solutions provider, Hazel 4D, has added smart paper, air and cardboard void fill systems to its range. The new systems offer businesses an alternative to traditional plastic void fill protection, such as bubble wrap. Using the machines, companies can produce their own void fill to cushion their products in transit, whilst reducing their plastic consumption and cutting their packaging costs. By installing a Nuevopak™ machine, businesses can eradicate their use of plastic void fill and increase their packing speeds. The XSeries ™ machines produce protective cushioning made of 100% biodegradable paper and the X-Fill™ machine is one of the fastest on the market, dispensing 1.7 m/second. Hazel 4D’s Cushionpack™ machines come in a range of sizes and allow waste cardboard to be converted into void fill. This solution is ideal for any warehouse looking to reduce their recycling costs, increase their storage space and remove the need to buy void fill products in the future. Alternatively, businesses can protect their products with inflated air pillows and cushions made of 98% air and only 2% plastic. Locked Air™ pillows come with a choice of a degradable film or an ultra-thin film made of 35% less plastic than standard air pillow systems. 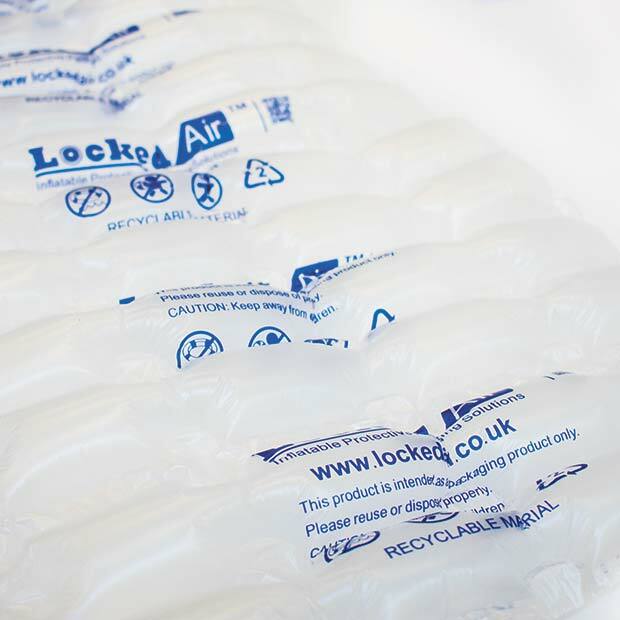 Locked Air™ void fill is lightweight so incurs no extra postage fees.